VietNamNet Bridge - The Trans Pacific Partnership Agreement (TPP) brings a ray of hope to the Vietnam’s automobile industry. Without TPP membership, the automobile industry would not exist after 2018, when it has to open the domestic market widely to imports from ASEAN. However, TPP may make the Vietnam ‘automobile dream’ a reality, Khuong Quang Dong, an analyst, wrote on Thoi Bao Kinh Te Sai Gon. The negotiation about the required TPP-made content ratio in car products with preferential tariffs was one of the toughest. Mexico and Canada wanted a high required ratio, at 62.5 percent as set by NAFTA. The high ratio once helped attract an investment wave to Mexico in the 1990s and turned the country into a big car and car part supplier to the US market. Meanwhile, the US and Japan, the two big manufacturers in the TPP bloc, wanted lower ratios, 50 and 32.5 percent, respectively, so that their car manufacturers can take the initiative in seeking car part suppliers. Besides, a high percentage of Japanese cars are made in non-TPP countries such as Thailand and Indonesia. Finally, the 12 member countries of TPP agreed that the required ratio would be 45 percent. Dong believes that in the new circumstances, Vietnam will have high investment appeal as Mexico did in the 1990s when it joined NAFTA. Therefore, the problem will not lie in looking for initial investment capital. It will be more important to create a dynamic industry which can help attract high technology investors. Vietnamese manufacturers need to have four important characteristics to be able to join the ‘automobile world’ – quality, price, delivery time, and creativity & development. TPP is believed to be ‘powerful’ enough to help Vietnam escape the difficult situation it will fall into when Vietnam has to cut import tariffs to zero percent from 2018 under the ASEAN Free Trade Agreement (AFTA). 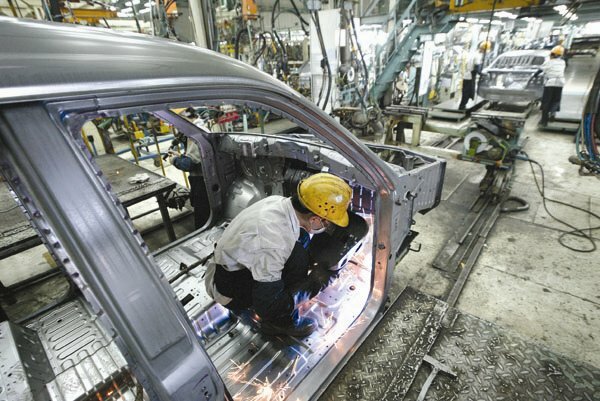 According to Dong, in the immediate time, it is necessary to create favorable conditions for foreign investors to make car parts to serve the assembly of car models in TPP countries. Investments in technologies, equipment and management technology will be very useful for Vietnam to prepare to enter the global supply chain. In the next stage of development, Vietnam needs to make every effort to develop infrastructure, including logistics and materials, and train the labor force well to improve the industry’s competitiveness in the world market. It will also need to consolidate long-term cooperation with others and maintain investors’ confidence. In the current global context and under Vietnam’s conditions, close cooperation with international industries and the ability to successfully receive technology transfer will be the most feasible way to develop the nation’s industry.